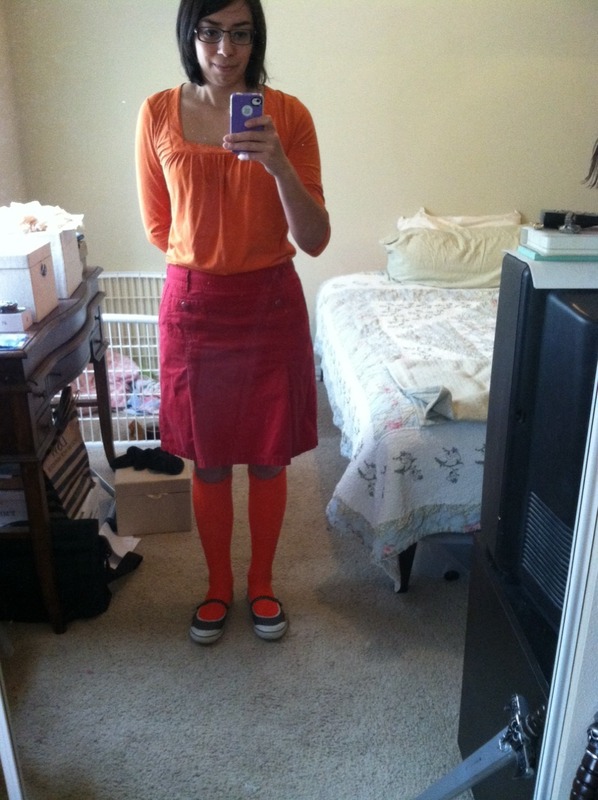 Last year I blogged about my Halloween costume, so I figured I’d continue the tradition. I made the circlet for another costume a few years ago. The plastic sword was for a Xena, Warrior Princess costume. The belt and the gold slippers are some of my favorites from my actual wardrobe. Obviously, though, the best part of this costume is the vintage dress. My mom bought it in Germany when she spent a year there in the late 70’s. She doesn’t remember where she found it. I’m going to say it was a charming little boutique because that makes a good story. It’s important to note that she did not buy it for cosplay. For a fantasy-loving flower child, this was an actual formal dress. She kept it all these years and is now graciously allowing me to use it for playing dress-up costuming. In case following my cosplay delusions got you wondering what I picked for my actual costume, here it is! 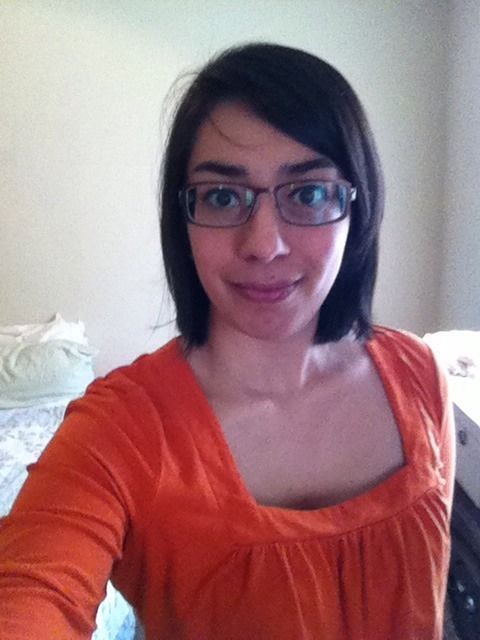 Presenting a few grainy, badly-lit selfies of me as Velma Dinkley from Scooby-Doo. That’s Pinky’s crate behind me. This costume is entirely made of pieces that I’ve owned for years. Except the socks. They were hard to find. They are soft and fuzzy, and I will enjoy them this winter. Side view. My “concentrating on taking the picture” face is weird. 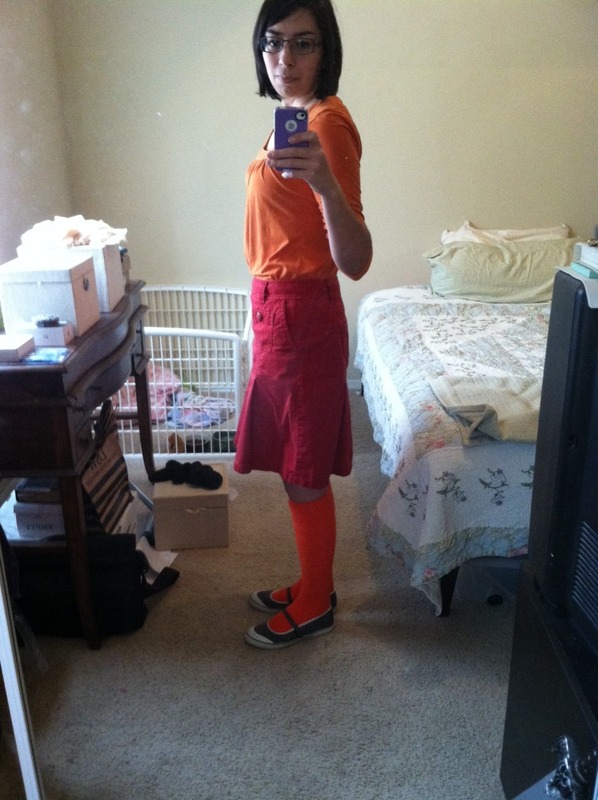 The hardest part was getting my hair Velma-shaped. A quick blowout turns it into Lana Parilla. I’m pleased with how it turned out. I’m quite pleased with how my eye makeup turned out as well. All pictures were originally posted at my Tumblr. Princess Bubblegum from Adventure Time. The enviable costume featured here is actually being modeled by deviantART user BiZria. Click the picture for more details on her costume. If you are unfamiliar with Princess Bonnibel Bubblegum, the scientist who rules the Candy Kingdom in the Land of Ooo, click the picture below to see PB’s page on the Adventure Time wiki. I’d had something else in mind for this post, but thanks to last night’s episode of Once Upon a Time in Wonderland, I no longer remember what it was. I have no idea what the writers or the rest of the fandom are calling this costume, so I shall call it Adventurer Alice. This has got to be the image of tomboy femme. I don’t think I’ve seen an Action Girl costume this femmy outside of anime. I cannot think of a combination more fun to wear than lavender lace, amethyst leather, and a sword. And boots. Can’t forget the boots. It’s probably a good thing I don’t have the means to reproduce this costume, because it would find its way into my everyday wardrobe way more than it should. Steampunk Batgirl! Or Batwoman. 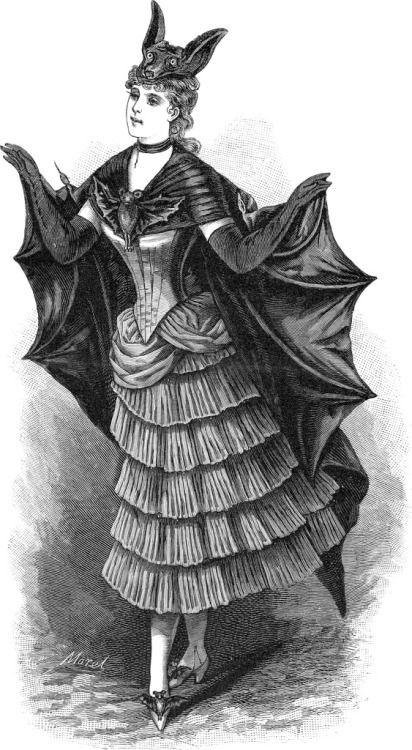 Or some OC fanfic ancestress in the Wayne family tree who got the whole Batperson thing started and whose records and inventions would someday be discovered by Bruce and become the foundation of his work. Yes. I like that one. The whole thing would be black, except for the shoes and overskirt, which would be yellow. And it would be awesome.